Yay! Well somebody in Dallas had to get some bragging rights other than Mayweather and Pacquiao at the greatest fight in this 15 year-old century! 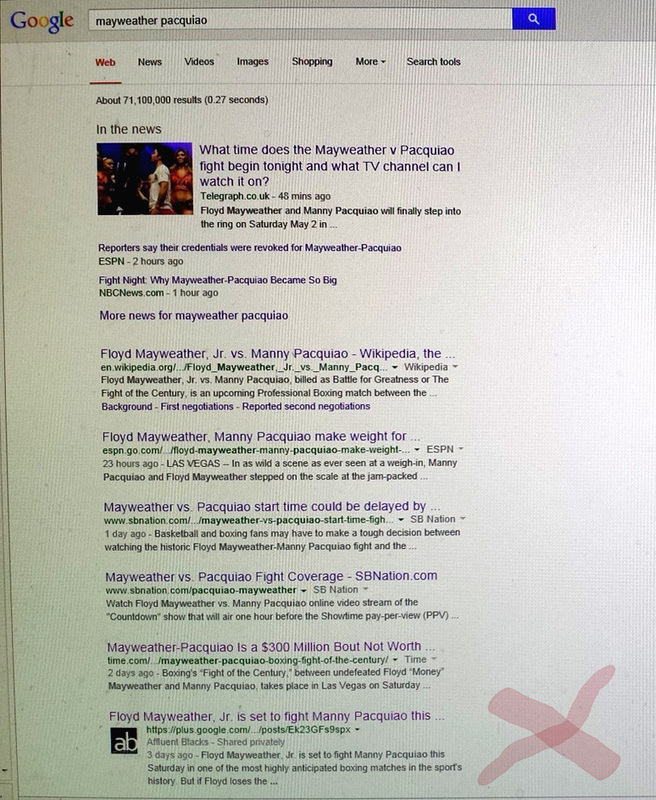 So we’d like to thank you, our followers, for making #7 on the first page of Google searches of the term “mayweather pacquiao.” Our stats have doubled since posting a series of blogs on this fight and the affluence behind the scenes. Ok, ok, quit hatin’! We will do whatever it takes to get something out of this fight and to bring attention to Dallas. Now go enjoy the fight in a few hours and the after parties across Dallas Ft. Worth such as at Shark Bar in Plano, Park Avenue in Dallas, Tailgaters in Addison, and others.